Press all seams well and the top lays flat. Clip all loose threads tails top and back side. 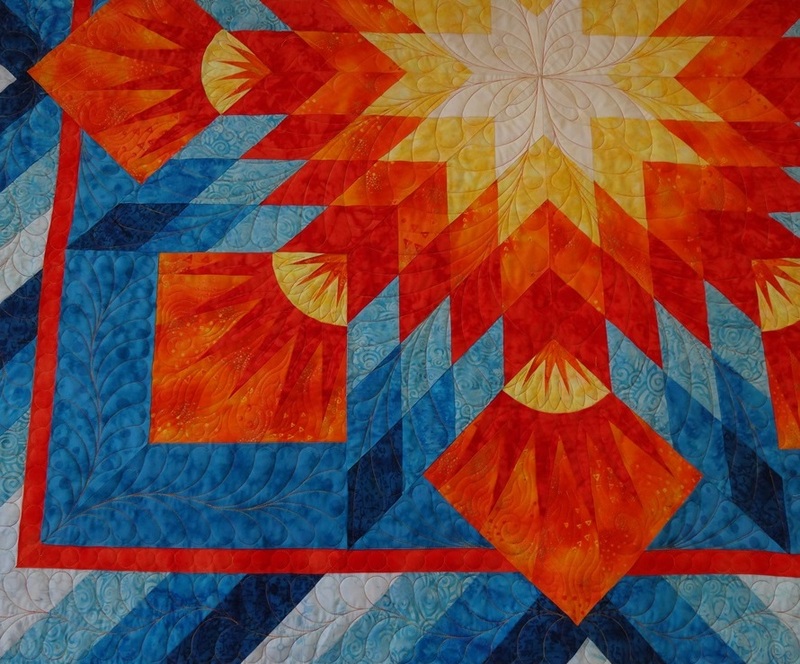 A row of stay stitching, applied ¼ inch or less from the edge of the quilt top will prevent stretching and seam pulling apart during the machine quilting process. Pieced backs should be pieced with a ½” seam pressed open and selvages trimmed off. Please keep the piecing on the backs to a minimum and on grain. If the backing is pieced off-grained or biased, there is a potential for the back seam to wave and not lay flat. Therefore stitching in unwanted folds. Backing should be squared. This means 90 degree angles. This is extremely important. Backing should be at least 4 inches larger on ALL sides than the quilt top. Batting should be at least 4 inches larger on ALL sides than the quilt top. Please do not baste or pin the three layers together. I load them separately on the quilting frame.